Experience Melbourne's 5 star designer hotel, ideally located next to the Royal Botanic Gardens. The Royce was once renowned as Australia's most glamorous automobile showroom. Flexible event space with a choice of 12 meeting and event spaces (some with natural light), catering for up to 300 people. The Royce Grand Ballroom located at the top of the Grand Staircase and under a magnificent high domed ceiling with marble mezzanine landing overlooking the elegant art deco hotel lobby, is the perfect setting for both corporate and leisure events. Purpose built boardrooms are also available. The hotels award winning restaurant dish as well as the stylish amberoom lounge bar are available for private events catering for up to 140 people. The hotel also features modern accommodation rooms and suites, business area, valet parking, WIFI throughout, a private outdoor courtyard and gymnasium. Experience a retreat of luxury, comfort and first class events. 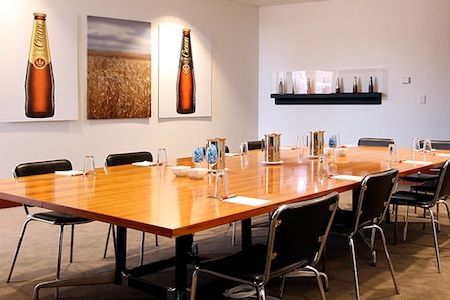 The team at the Royce Hotel Melbourne is dedicated to creating a memorable event. Modern Australian. Under the direction of Executive Chef, Leigh Dundas, who was trained by Marco Pierre White in London.